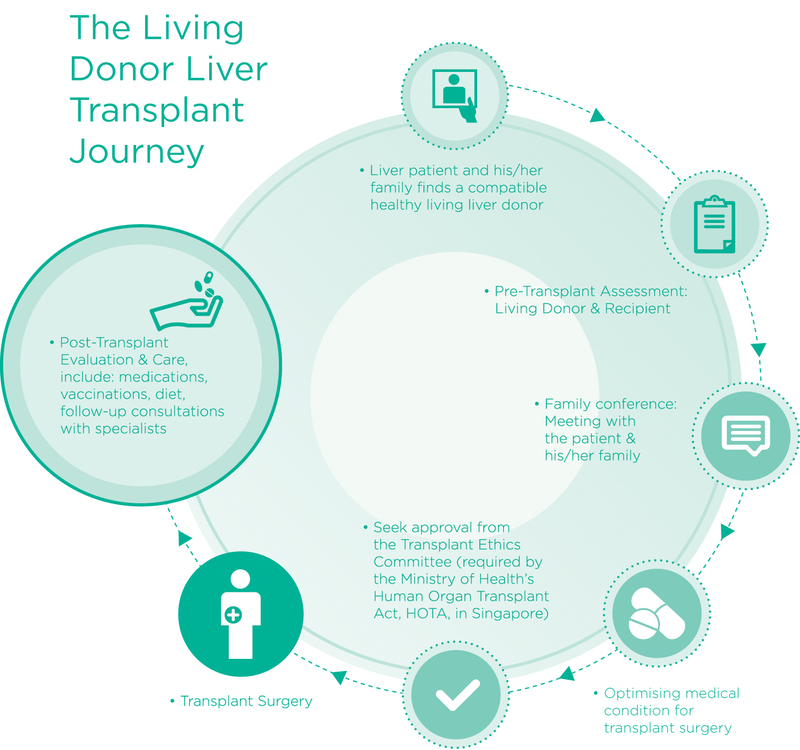 The Asian American Liver Centre (AALC) has been conducting Living Donor Liver Transplantation (LDLT) since 2002 and has successfully performed 240 LDLTs to-date. AALC’s highly successful LDLT programme is complemented by Parkway Asian Transplant Unit – a dedicated ward with Intensive Care Unit (ICU) facilities and state-of-the-art medical equipment such as liver dialysis machines and monitoring devices. AALC is connected to one of the world most recognised transplantation programmes through University of Pittsburgh Medical Center (UPMC). This strategic collaboration with UPMC has enhanced AALC’s clinical capabilities through shared protocols, rigorous quality standards and technology. Our team of multi-disciplinary healthcare professionals work together to ensure the best outcomes from your liver transplant. 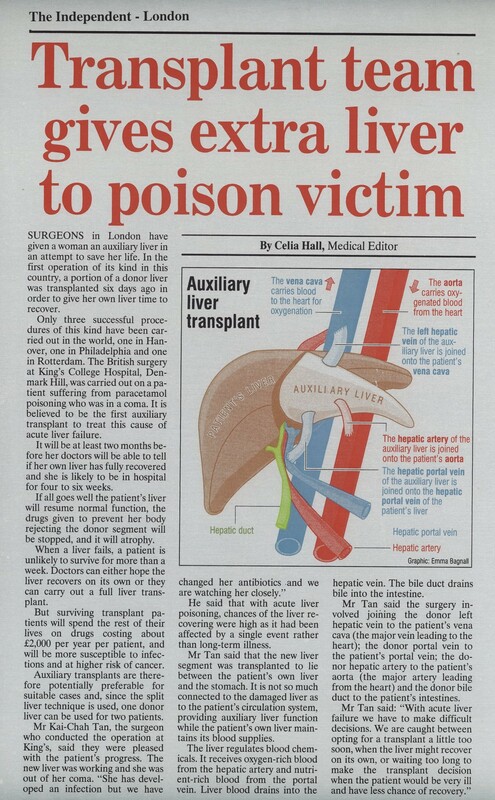 The journey through a liver transplant is an important one in getting a new lease of life. Our team of dedicated doctors and transplant coordinators will walk with you to ensure a smooth journey. What Happens During a Living Donor Liver Transplantation Surgery? 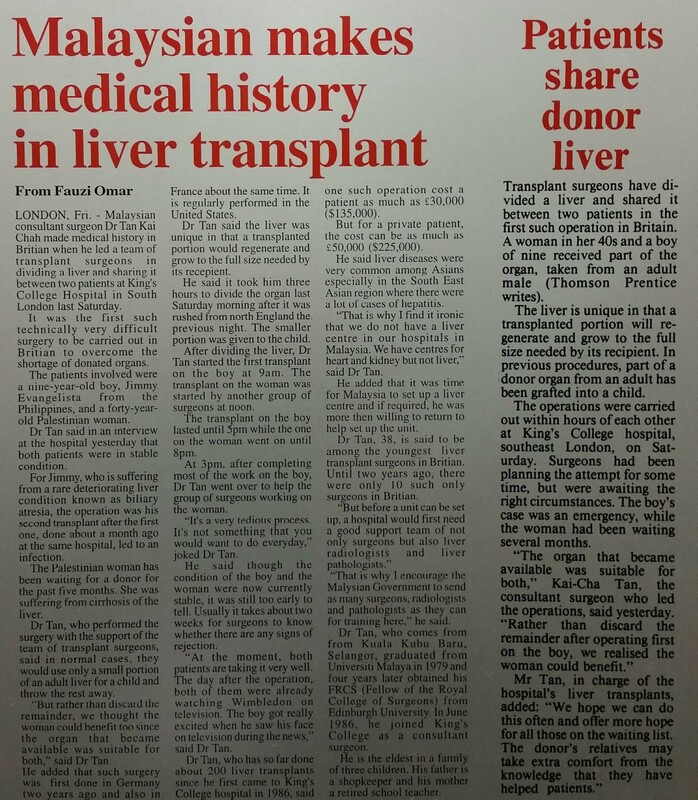 On the day of the transplant, both the donor and recipient will undergo their respective operations simultaneously in a side-by-side operating theatre. A portion of the liver is removed from the donor (from an adult recipient, this is most commonly the right lobe of the liver) and placed in the recipient after the recipient’s original diseased liver has been completely removed [Figure 1]. For a full right lobe donation, the donor’s gallbladder will be removed. [Figure 1: Right-lobe living donor liver transplantation. 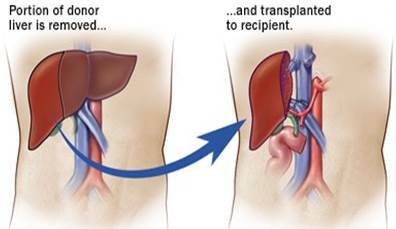 The right lobe of the donor is meticulously resected and transplanted into the recipient after the recipient’s diseased liver has been removed. The liver has several key connections that must be re-established for the new organ to receive blood flow and to drain bile from the liver. The structures that must be reconnected are a hepatic vein, portal vein, hepatic artery and bile duct. With the liver’s remarkable ability to regenerate, the transplanted liver in the recipient, as well as the portion left behind in the donor, will grow back to normal liver size and function within a few months. The exact sequences and surgical techniques vary depending on the recipient disease, donor’s anatomy or recipient anatomic issues. Recipient’s entire cirrhotic liver is carefully dissected free and removed. Donor’s healthy liver with line demarcating right lobe from the left lobe of the liver (right lobe to be donated). Donor’s liver meticulously split along the border of right and left lobes leaving all vessels intact until ready for removal. The right lobe of donor implanted into a recipient. A patient’s liver transplant journey does not end when the surgery is completed. It continues to post-operative management in Intensive Care Unit (ICU), general ward and followed by long-term management of the patient after discharge from the hospital. The patient may stay in the hospital for a few weeks to a month after the surgery depending on their condition. As with everything in life, being prepared is half the battle won. With more than 200 liver transplantation experiences over the years, the AALC Liver Transplant Team has treated many patients with complications from their liver transplant. Every member of the team has become an expert in their own right and has valuable contributions to the success of the liver transplant. The best candidates to be a living donor are family members. 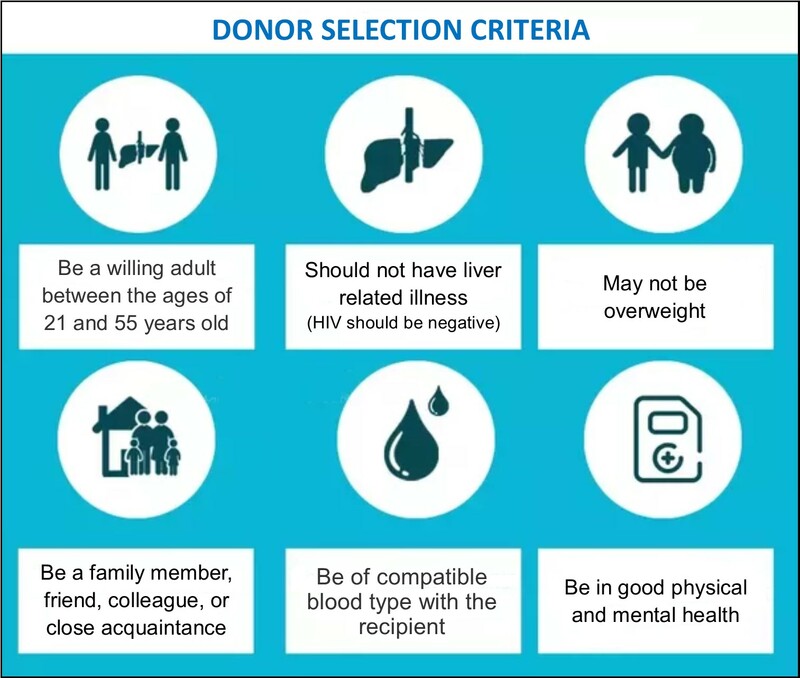 However, in the event that the family is not suitable for a donation for medical reasons, an emotionally related donor (for example long-time friends or colleagues) are permissible to be a living donor after a review by the Transplant Ethics Committee. 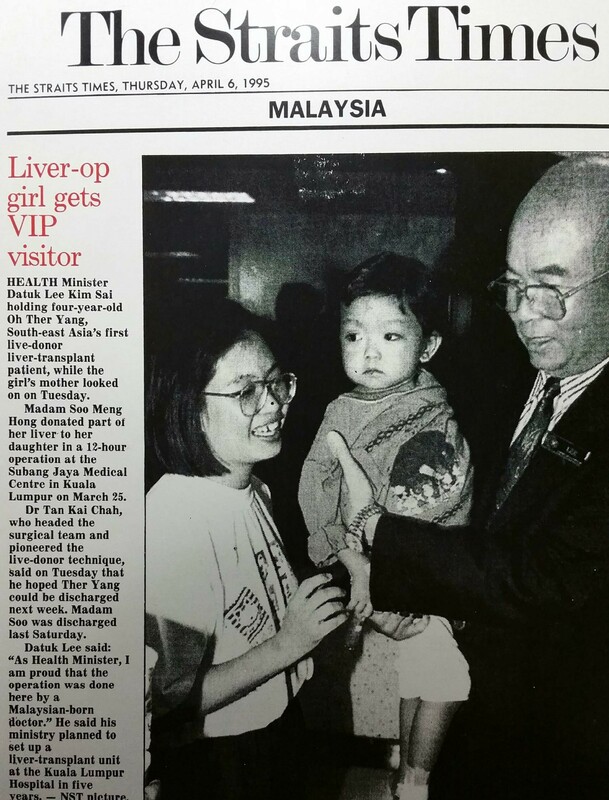 The donor will be evaluated by the AALC Liver Transplant Team for fitness for surgery. Occasionally, a liver biopsy may be required for those with fatty liver to quantify the amount of fat. Psychiatric assessment is required to ensure that the donor is mentally prepared for the operation and understands the implication of the surgery. The evaluation process is designed to prove that you have a healthy liver and that it would be safe for you to donate. Liver transplant is a major surgery – you will experience pain after surgery and require pain relievers. This detailed evaluation process will help us identify any potential problems and also help decide on the surgical techniques required for your surgery. *We employ technology from Germany called MeVis Distant Services (MDS). 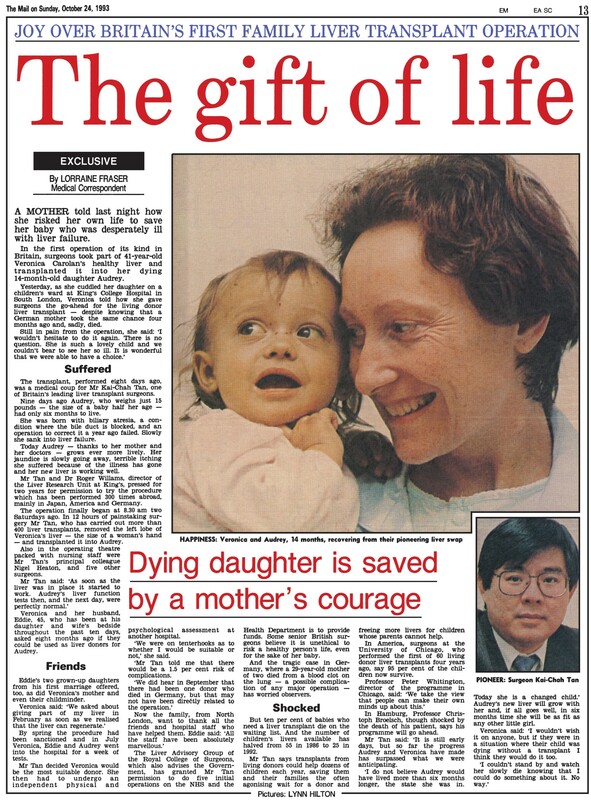 The data from the donor’s CT scan will be uploaded to the MDS and detailed information of colour pictures depicting the vascular anatomy, the volume and the suitability of the proposed liver graft will be received. It is a precise and highly individual diagnostic tool which enables the surgeon to perform the donor’s operation with utmost safety and confidence. 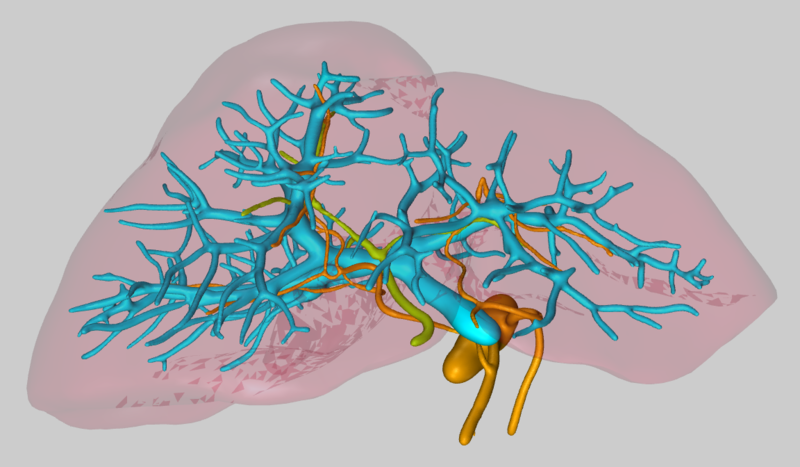 Figure: 3-D reconstruction of donor liver anatomy demonstrating the relationship between the portal veins (blue), hepatic arteries (yellow) and biliary ducts (green).